Brann Clay has been servicing architects and interior designers in the Chicago land area for over 48 years. We offer a wide variety of high quality brick all made in the United States. Above is Sioux City’s Coppertone and Mountain Shadow bricks on Ogden International School of Chicago. The Coppertone brick keeps the exterior light, while the Mountain Shadow allows the mix to remain conservative. 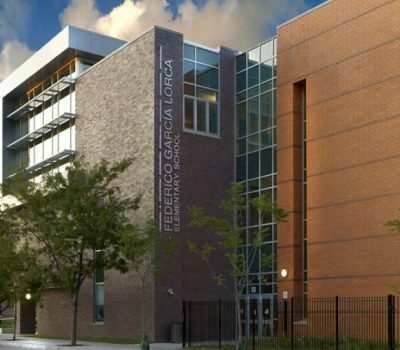 Here we have another Sioux City Brick blend done on Federica Garcia Lorca Elementary School in Chicago, Illinois. The contracting shades hold for a modern look but at the same time, lets the building fit in the neighborhood. 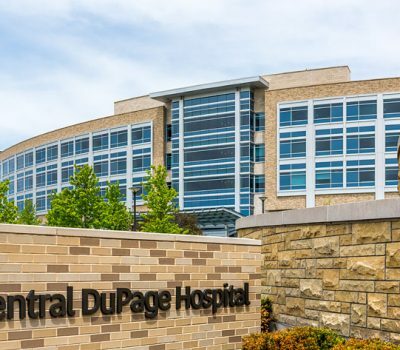 In this project done on Central DuPage Hospital in Winfield, Illinois, a combination of Glen-Gery Brick was selected. 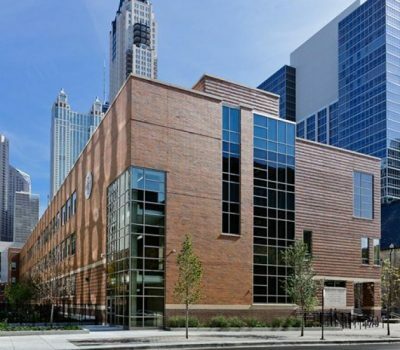 Oyster Grey, Smokey Quartz, Dark Brown, and Toledo Grey were all used to give this building its stunning look. Sioux City Brick contributes to a quality custom project by offering custom-made special shapes, multiple sizes and an exceptional color and texture palette. Their modern brick factories ensure the highest quality standards for consistent even blending and strict dimensional tolerances.